This place use to have the best prices...but it's off to the Casino Boy Graveyard. 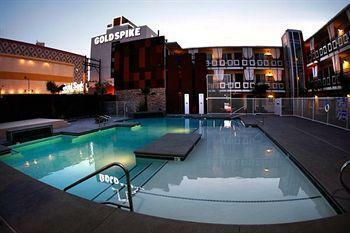 The Gold Spike Hotel Las Vegas has closed as of April 14th, 2013. For those who had already made reservations, Gold Spike will offer stays at it's sister locations: The Rumor, Resort at Mount CHarleston, or The artisan. Before this hotel closed, the prices are low and you got more than you pay for..Casino Boy is definitely sad to lose this gem. 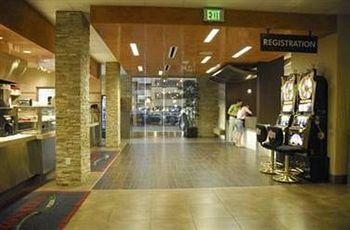 For now, Gold Spike Hotel Las Vegas is closed so you probably won't find anything in the bathroom. Since it's closed as of April 14th, 2013...so there won't be any clients at this Downtown Las Vegas hotel. The pool is fairly small and standard, but this is a small hotel so the amount of water seems to be just about right...plus since it's closed, there won't be anyone swimming in it. Gold Spike has closed. But it use to be worth it. 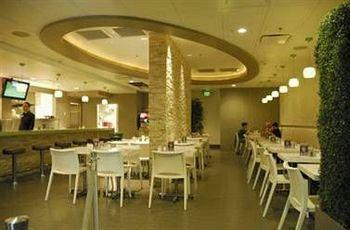 No tables since Gold Spike Las Vegas hotel is closed. 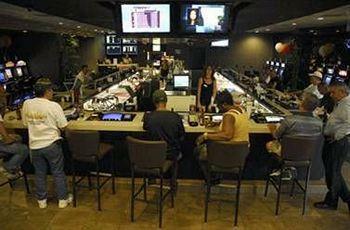 Check out other cheap vegas casinos here. No machines since this hotel is closed. If you need a decent meal in the wee hours of the morning, or the middle of the day, you won't be disappointed in whatever you get from the Golden Grill Las Vegas at the Golden Spike Hotel. It's open 24 hours a day and you don't have to worry about bringing the kids here, because in addition to their kids menu, they don't have alcohol to tempt them with. Choose between one queen or one king. Rooms come with a clock radio and TV with cable. Ensuite bathroom with hair dryer and complimentary toiletries. It ain't anything special, but if you want something more unique you might want to try those upscale Vegas hotels on the Strip. Choose between two queens or one king bed. 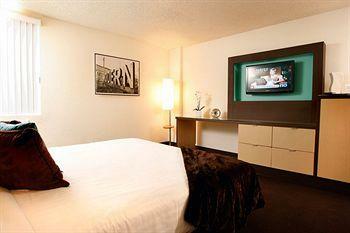 Rooms come with an iPod docking station, clock radio, and TV with cable. The ensuite bathroom have shower/tub combinations with bath amenities including hair dryer and designer toiletries. It's a pretty average Downtown Las Vegas hotel room. 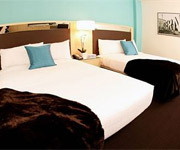 The Gold Spike Hotel and Casino Las Vegas offers a few special suites - king, queen, or penthouse. Whether you choose one king bed, two queens, or just a larger (and themed) area, all suites feature your own Downtown Las Vegas balcony with fabulous views of the Fremont Street Experience. Besides the standard amenities from a deluxe room, suites also come with a refrigerator. What an improvement !!! My wife and I took my mother downtown to see the Freemont Street Experience when she came from the east coast to visit. Being an overly sensitive small town lady, she did not trust the shifty-eyed people who hang out on the sidewalks downtown. I remember distinctly as we passed by the Gold Spike how she grabbed my arm and put he purse between us saying something like, "I don't like the looks of those people." That is gone for the most part and the Gold Spike has been so totally renovated that had you not seen it before, then you would swear that it could not have been the same place that was located on that corner in former years. In those past days that I spoke of, I was having fun with one of our sons who was of gaming age and I said, "Hey, just so that we can say that we did it, why don't we go to the Gold Spike and get one of those $1.99 breakfasts?" We did and it was an experience to say the least. The floors were dirty, the crowd eating there were low-lifes and some were very shabby looking, like they rolled out of the gutter. But, again, it is not anything like that today. Fast forward to today and my son said that he wanted a quick, low cost prime rib dinner downtown. I went on my Google phone app and a few places popped up, among which was the Gold Spike. They offered a prime rib dinner with a baked potato, s/c & chives, and a veggie for $6.99. Let's give them another try, I said. We booked it down there and found easy parking. The place looked clean, there were no bums hanging out on the sidewalk and once we entered, we were "Wowed." The whole place is bright, refurbished, good smelling, wisely coordinated, and the diner has been relocated to a different area. All of the seating is new the gaming machines are all new with very nice seating and it is as stunning of a makeover as what can be expected. The meal was fabulous. Everything was cooked to perfection. I mean, how can you go wrong to have a complete prime rib dinner for the price of Carl Jr's Six Dollar Burger? It is that great and it is so great that there is no question that we will become return customers and recommending it to others. The rooms have all been upgraded and were comfortable. this hotel is really a motel. The security are rude and aggressive and i was wrongly assaulted . Its honky tonk and rough. the pool is nice, but its trashy people and drunkeness. The internet does not work. 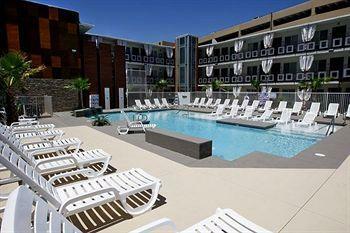 there is a resort fee for a pool which only sees sunshine half of the day . there is no room service. its hard to find parking often. the staff are not the best. underwhelming actually and you have to call three times at least to get what you might need. Its the most difficult hotel i have ever stayed at. everything was hard , or not working properly, or no, we dont do that . its a motel pretending to be a hotel. but its really not. it is close to the fremont experience, but its rough on the block of the hotel. 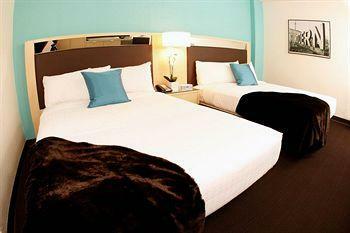 the rooms are nice and the price is great . but its rough.